Chris Davis is an American professional baseball player for the Baltimore Orioles of Major League Baseball (MLB). Davis played in MLB for the Texas Rangers from 2008 until being traded to the Baltimore Orioles in 2011. He bats left-handed and throws right-handed. While primarily a first baseman and right fielder throughout his career, Davis has also played third base and has been a designated hitter. What is Chris Davis Famous for? An American professional baseball player for the Baltimore Orioles of Major League Baseball (MLB). A season after setting the record for worst batting average among qualified players in MLB history at .168, the Orioles first baseman has captured even more history, and it’s still not the good kind. By ending 0-for-5 on Monday night against the Athletics, Davis set the mark for most consecutive at-bats without a hit, a streak that reached 0-for-49, dating back to Sept. 14 of the 2018 season. Davis passed Los Angeles Dodgers infielder Eugenio Velez, who went hitless in his final 46 at-bats of the 2011 season. Brooklyn’s Bill Bergen (1909), Dave Campbell of San Diego and St. Louis (1973) and Craig Counsell of Milwaukee (earlier in 2011) had their 45 at-bat streaks pushed a little further down the list, as per Elias Sports Bureau. Of course, without a hit through nine games this season, Davis is on track to break his batting average mark. 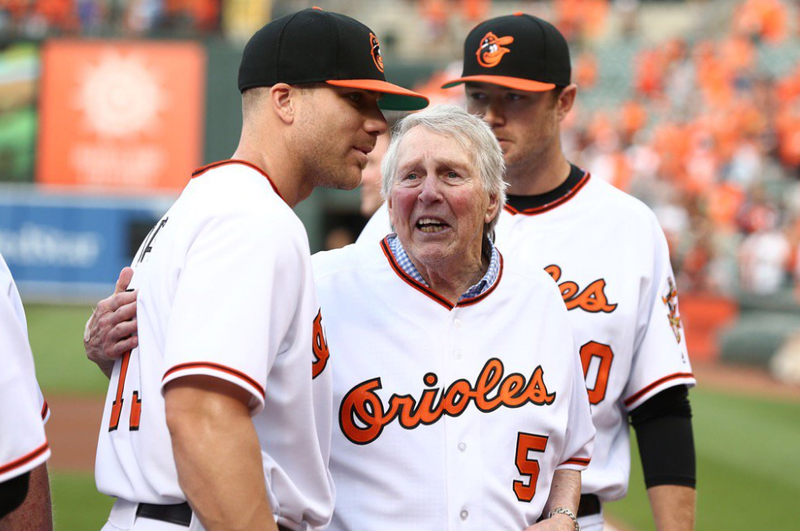 Davis’ two strikeouts on Monday also sent him past Mickey Mantle for 35th all-time with 1,711. What is the birth-date of Chris Davis? Turning back to his early life, Chris David was born in Longview, Texas, the U.S. as a Christopher Lyn Davis. He is American by nationality and belongs to the White ethnic group. His birth sign is Pisces. He has an older sister, Jennifer. While he was in high school, his parents divorced. We don't have a piece of information about his parents. If you have, please share with us by using comment. Moving towards his education, He attended Longview High School where he is playing shortstop on the school's varsity baseball team and pitching as well before graduating in 2004. Later, he attended Navarro Junior College. 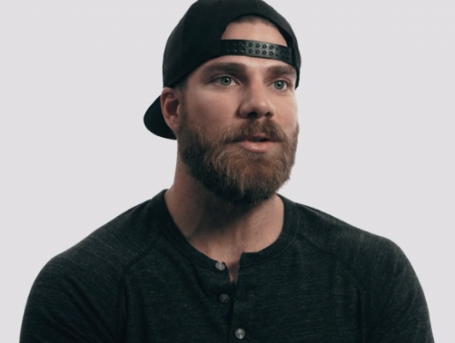 When did Chris Davis pursue his baseball career? Davis began to play baseball from his high school. Later, He was selected by the New York Yankees as the third-to-last pick of the 2004 Major League Baseball (MLB) Draft. However, turned down the offer, choosing to rather attend the Navarro Junior College in Texas, where he became the team’s third baseman and as well as their first baseman. He was spotted by the Los Angeles Angels of Anaheim, who drafted him in the 2005 MLB Draft, and he also turned the offer down. In 2006, he was named a pre-season JUCO All-American by Baseball America- this also earned him the Most Valuable Player honors in Region XIV East Zone. That same year, he recorded 17 home runs and Davis and was drafted again, this time by the Texas Rangers in the fifth round of the 2006 MLB Draft and he accepted the offer which marked the beginning of his minor league career. In the 2008 season, he played first base for Frisco, batting .333 with 62 hits, 13 home runs, and 42 RBI in 46 games, before he received another promotion to the Triple-A Oklahoma RedHawks of the Pacific Coast League. He hit .333 with 37 hits, 10 home runs, and 31 RBI in 31 games and was named the All-Star Futures Game but he couldn’t play because of his promotion to the major leagues by the Texas Rangers. On January 21, 2016, Davis signed a 7-year, $161 million contracts to stay with the Orioles, the richest contract in Orioles history. Coincidentally, 161 was the number of home runs Davis hit with the Orioles before signing the contract. In 2017, Chris Davis hit his 200th career home run in an Orioles uniform, making him the eighth in the history of Oriole franchise to do so. In May of the same year, His 250th career home run (208th as an Oriole) to become the 221st player in the history of the MLB to do so. He started the 2018 season with a .150 batting average and 86 strikeouts in his first 57 games. On June 15, the Orioles announced that Davis would be benched and that they would call up Corban Joseph. On April 8, 2019, Davis set a new Major League record for the most consecutive at-bats without a hit, surpassing Eugenio Velez, who went 0-for-46 in 2010 and 2011. Davis' hitless streak began on September 14, 2018, and he ended the Orioles' game against the Athletics still hitless, at 0-for-49. 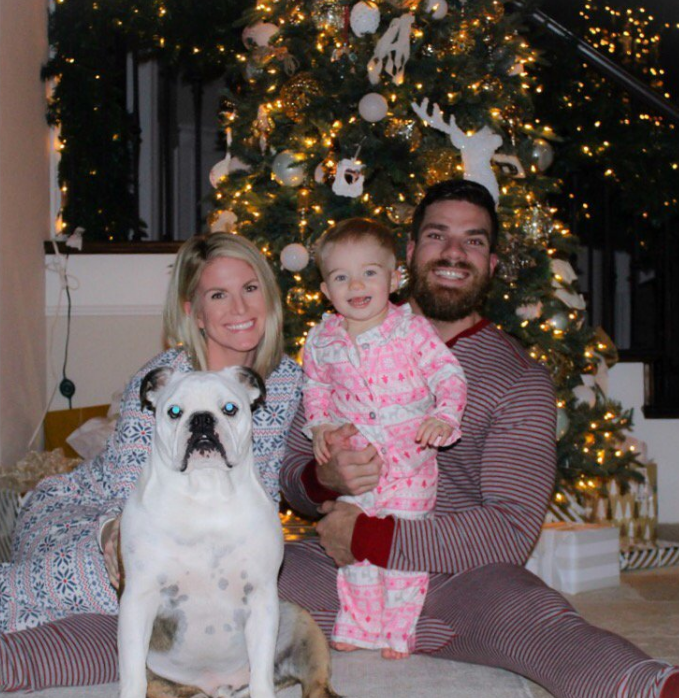 Who is Chris Davis married to? Reflecting his personal life, Davis was a married man. He was married to Jill Meyer in 2011. The couple blessed with three daughters, Ella, Evelyn, and Dorothy. As of now, they live a blissful life with their daughters in Baltimore, Maryland, and Flower Mound, Texas. 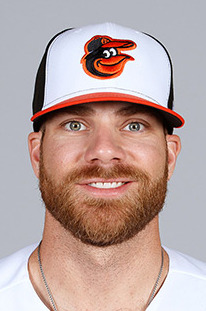 How much is Chris Davis net worth? As a professional baseball player, he must accumulate a lot of money from his profession and contracts. According to some online sources, his estimated net worth said to be $ 25 million dollars at present. However, his salary was not disclosed yet. In the case of disclosed, we will let you know. How tall is Chris Davis? Observing his body statistics, He stands a height of 6 feet 3 inches and weighs 104 Kg. Similarly, he has a pair of blue eyes and dark brown hair color. He has an athletic body figure with the body measurement of 45-34-34 inches. Further, he used to wear 12.5 (US) size of shoe.